Looking for a weekend escape that’ll blow you away? Then you’ll dig a trip to the Royal Gorge in Cañon City. 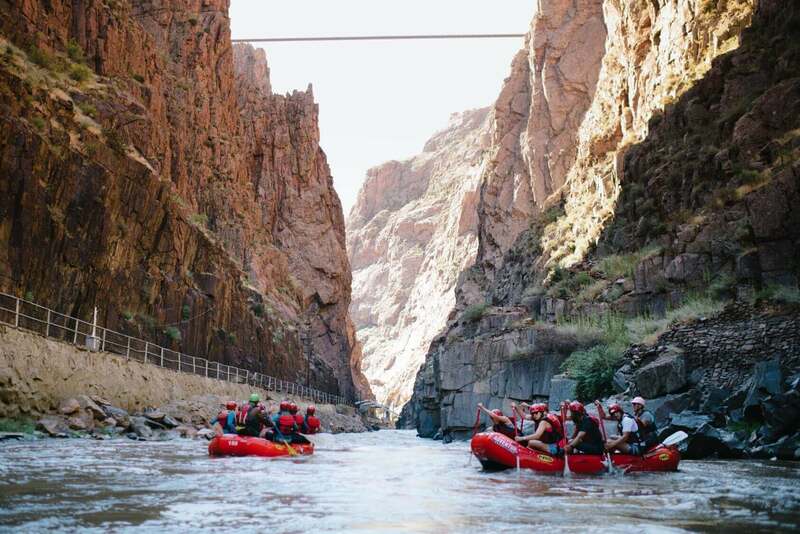 The Royal Gorge has everything that we adrenaline junkies love, including sheer cliff faces, awesome wildlife, raging rapids, and one of the highest suspension bridges in the world. Here’s a rundown on what you need to know to plan a weekend visit. 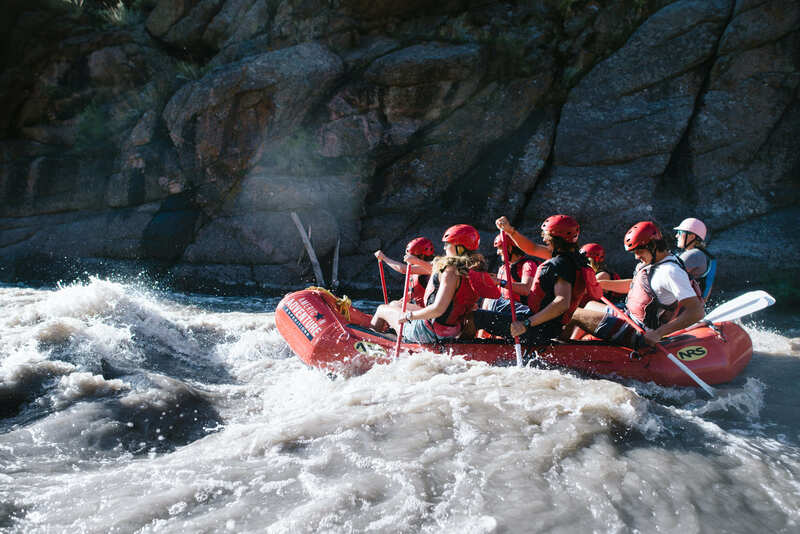 White water rafting easily tops the list of must-do activities at Royal Gorge. This well-known rafting hotspot features 10 miles of rapids along the Arkansas River, best for adults or kids over the age of 14. Rollicking rapids, amazing scenery, and the chance to drift beneath the stupendous suspension bridge all make this a trip worth taking. 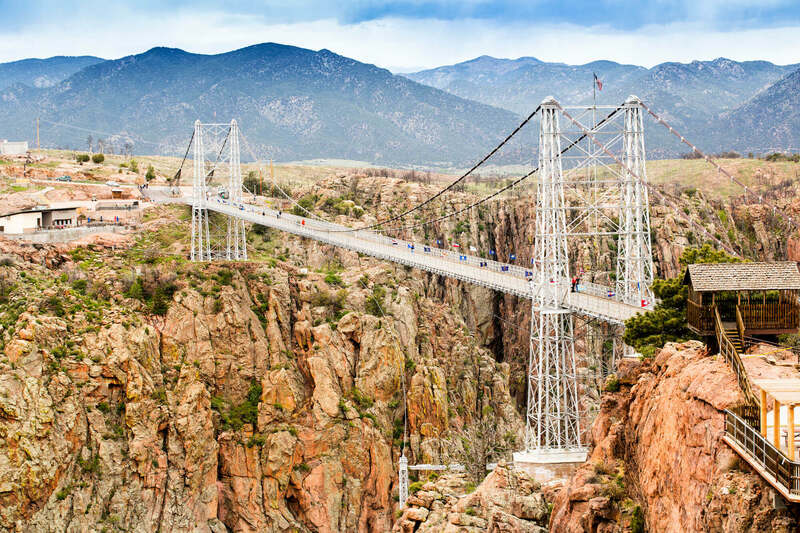 Walking across the 1,270-foot-long suspension bridge that spans the canyon is a thrill within itself, and you can amp up the excitement even further checking out the Royal Gorge amusement park. The amusement park sits atop the canyon, serving up a vast 360 acres full of fun. When or if you feel like kicking back for a spell, a ride on the Royal Gorge Route Railroad can be just the ticket. Here you can participate in any special events that may be going on, or simply sit back and enjoy the delicious dining and comfy riding while gawking at the views. Once you’re ready to get the adrenaline pumping again, you can do it with a spectacular aerial view. Ziplining across the canyon is one option, while skydiving out of nearby Cañon City is another. A good night’s sleep is essential with all the excitement on the agenda. Choices in Cañon City range from the traditional to the ruggedly down-to-earth. Quality Inn & Suites Hotel gives you the traditional hotel experience with all the fixings, including free Wi-Fi and free breakfast. Royal Gorge Cabins is the place to score one of nine luxury cabins or a glamping tent for a luxurious version of roughing it. Campgrounds are also an option, with secluded spots in the heart of gorgeous scenery. Cañon City Mugs Restaurant gets our vote for its enthusiastic atmosphere and a killer happy hour. Chicago Bob’s BBQ wins for massive portions of sensational Southern comfort food. El Alazan Mexican Restaurant whips up magnificent Mexican fare, accompanied by mariachi music on Fridays. Summers in Cañon City are heavenly, with temps that tend to stay in the mid to high 80s by day and dip to the 55-to-60-degree range at night. It’s supreme for all those fun-in-the-sun activities. The next time you’re looking for an easy way to enjoy a wild weekend, visit the Royal Gorge and Cañon City. With so many awesome things to do, you may want to extend your stay for an entire week. Give American Adventure Expeditions a holler if you’re in the area; we’d love to guide you on a white water rafting ride.